The days of someone staying in the same country for their entire career have gone. These days, chemists often move between countries – which often have very different attitudes as to what counts as a professional approach. Often, your CV (or résume in the US) is an essential part of finding employment abroad. But just because your CV is perfectly designed for your home country doesn’t mean it’s right for another. To help you navigate this cultural minefield, we’ve asked three experts to highlight the key points to consider when writing a CV for the US, UK and Germany – and the results are very different. The good news is that CV length is pretty standard at around two pages. However, basic conventions differ widely: in Germany, a photo and an electronic signature are expected. US submissions should also be aware that recruiters check social media, and a LinkedIn profile that matches your submission is essential. Academic CVs should be longer than a normal CV for all countries, but follow the same basic conventions around the world. Again, overall trends are relatively similar, although there are notable regional differences. Most CVs expect you to focus on the past 10 years first, prioritising work experience. Again, the difference is in the level of detail expected: a UK employer would be surprised if you include your high school grades, while a German company would expect them as a matter of course. Germany seems to lead the way in personal information, with many people including personal details about their family on a CV. However, women should leave off personal details to avoid potential discrimination. Hobbies aren’t necessary, but extracurricular activities should definitely be mentioned. 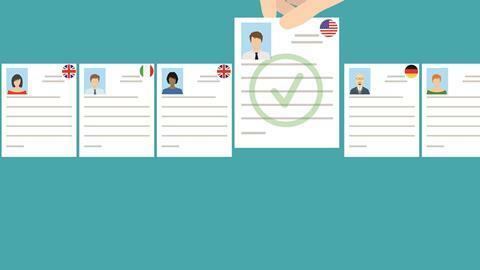 This differs from the US and UK , where personal information such as date of birth and marital status shouldn’t be included on a CV: in the US, full postal addresses are often left off to avoid identity theft. Employers is both countries are also keen to find out more about your lifestyle – including team sports, volunteering or travel experience – although it’s always important to ask yourself if the information is relevant. If you need further help with your CV, whichever country you live in and whatever job you are seeking, Royal Society of Chemistry members can get their CVs checked and reviewed against job adverts by the RSC Career Management team.